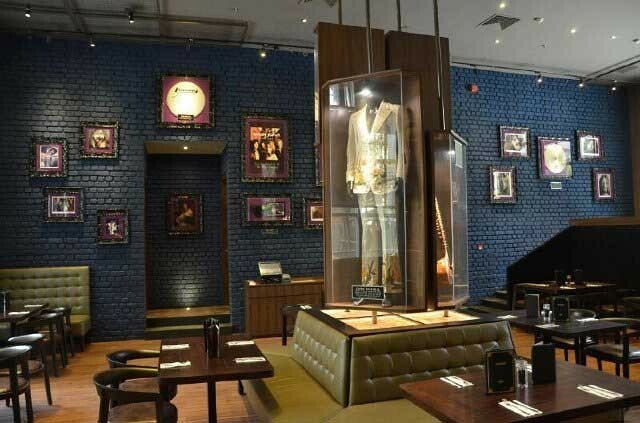 Apex Audio Indian distributor White Eagle Entertainment has designed, installed and commissioned an advanced sound system in JSM owned Hard Rock Cafe Mumbai and Shiro. An Apex IntelliX2 48 plays an integral part. JSM’s portfolio includes some of India’s most successful and well-known independent restaurants. Prime examples are luxury lounge Shiro, with its signature high ceilings, grand statues and award winning Oriental cuisine, and the Hard Rock Café in Mumbai. 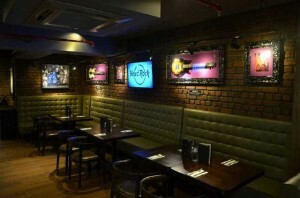 JSM, through its subsidiaries, is the exclusive master franchisee for Hard Rock Café, California Pizza Kitchen and Trader Vic's across India and the restaurants are known for their unique designs and uncompromising standards. The two Mumbai restaurants are centrally located, surrounded by a variety of corporations and movie production houses and, with the suburbs being home to the Bollywood movie industry, tourists are attracted from far and wide. The high quality demands of JSM are reflected in their sound systems and choice of supplier. For this reason, JSM general manager Darren Alvares chose White Eagle Entertainment as their preferred audio supplier. Alvares states, "We are very happy with the new sound systems. They out perform all our expectations. The systems sound perfect and are very easy to use." Hard Rock Café Mumbai occupies 613m2 with a seating capacity of 176. The installation consist of an extensive Outline loudspeaker system controlled by an Apex Intelli-X2 48, 4 in 8 out, fully digital 192 Khz system manager. The system is used for live bands and club nights almost every night of the week. At Shiro, the Apex Intelli-X2 48 is in control of a system that is used for music reproduction during restaurant hours and has to preform until late at night for the club’s after dinner club lounge nights. White Eagle Entertainment owner Arun Kalra has chosen the Intelli-X2 48 because it is one of the easiest to use and best system management systems available. "Because of the high demands of the clubs’ customers, the long operating hours of the locations and the high level of protection to all the components in the system, the Intelli series products are our first choice," says Arun. "By using the Apex Intelli units we are able to design high quality and fail save systems for the most demanding customers."